Worth watching for Shakespearian legend John Barrymore alone. He plays a stage director who is a huge drama queen himself, with wild hair to match. After an idiosyncratic casting session, he picks an inexperienced girl (Carole Lombard, later oscar-nom for My Man Godfrey, star of Mr. & Mrs. Smith and To Be or Not To Be) to be his new star and gives her a new name: Lily Garland. He directs the hell of her, telling her exactly where to move and what to do, and she obeys. Next thing you know, she’s the biggest star on Broadway, more famous than her still-celebrated director, and the two now have equally huge egos. Angry at him for being controlling, she sets off on her own, and he tries to create a new star to replace her, but fails hugely, and now he’s running from creditors and she’s starring in Hollywood films. All that happens in the first half of a 90-minute movie. Then the two find themselves on the same train (the Twentieth Century, duh) headed back to New York and it gets crazy and I start forgetting plot details. She’s with her straight and proper boyfriend (where in Hollywood did she find him?) who is jealous of her former relationship with Barrymore. There’s a short man plastering “Repent!” stickers all over the train and gleefully writing bad checks for huge sums to everyone on board, including one to JB to stage the passion play with Lily Garland as Magdalene. Barrymore’s assistants (a publicist and a stage manager, I think) keep threatening to quit then rejoining JB’s schemes. It all works out in the end. Hawks is said to have invented the screwball comedy with this one. Writers included Ben Hecht of His Girl Friday fame, and rumored help by Preston Sturges. Watched in Boston instead of ponying up for pay-per-view. Katy liked it pretty well. 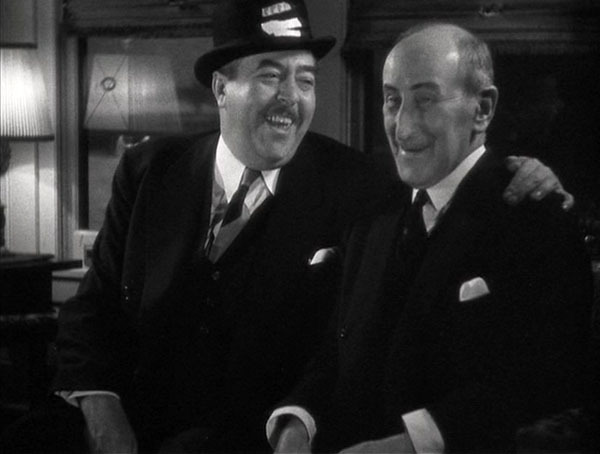 Left: Walter Connolly, playing Barrymore’s ever-faithful assistant. 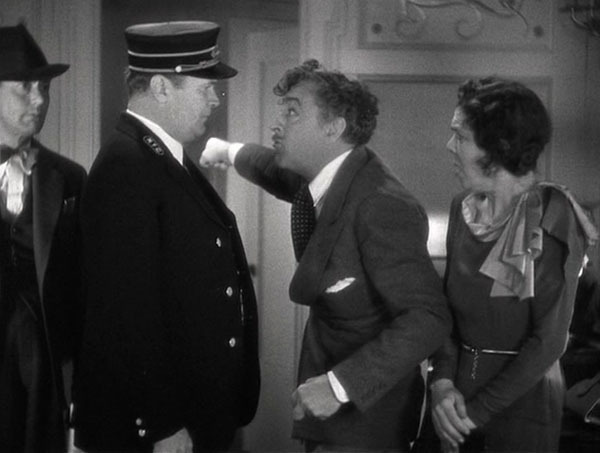 Right: the faux-rich, “repent now” loony played by Etienne Girardot. Both of these actors, along with stars Barrymore and Lombard, would be dead within ten years.